What if we can bring the simplicity of card payments to the world of non-tech people? Achievement unlocked. What if we marry design with commerce for a better outcome on conversion? Achievement unlocked. How about rethinking P2P commerce based on design, fulfillment & distribution? Achievement unlocked. Solving this we realised, we are democratising payments for a wide range of individuals, micro-businesses, SMB’s, hobbyists, artists & more who can now sell & accept payments instantly without any heavy lifting of technology while making a living for themselves. 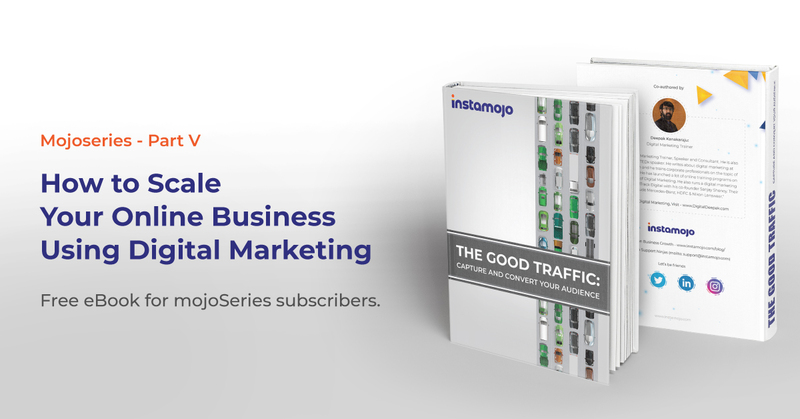 That’s the impact that drives us all at Instamojo. Instant onboarding process to get started without any extra cost. Inbuilt e-commerce tools married with beautiful UI/UX to give you industry’s best sales conversion. So in the same vein, we want you to focus on creating your products and services only and not worry about other hassles. 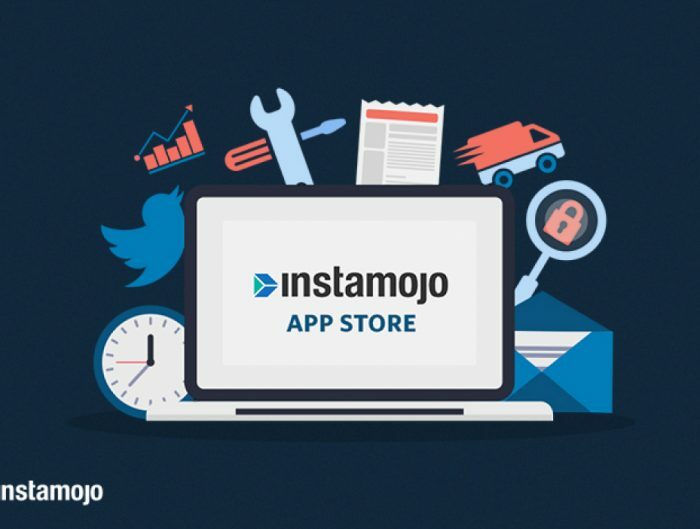 And as a big step forward in this journey, today we are launching — Instamojo Appstore. Q. What is the Appstore? Ans: Appstore is the suite of apps where you can subscribe to any app that will make your job simpler. Q. Why do I need to subscribe to an app? 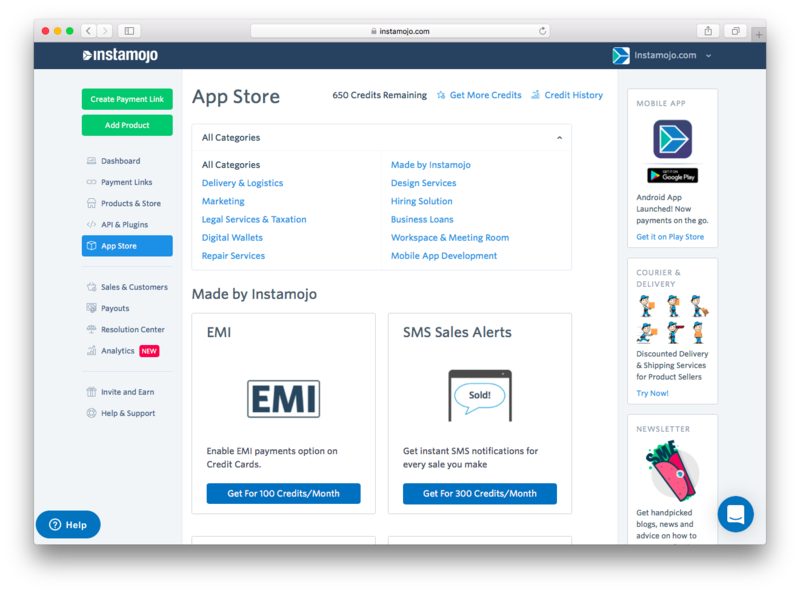 Ans: At the core of Instamojo is simplicity, which lets anyone sell and collect payments online. We are constantly adding powerful features for you, but every user has specific requirements. For this, we now give you the option to subscribe and make use of any app that you believe will help you. Q. Are the apps free or paid? Ans: Some apps are free, and some are paid. You can purchase credits from the Appstore to pay for them. Q. List some of the apps and its functionality? Merchant Affiliate System – Create your own affiliate network, and let others sell for you. 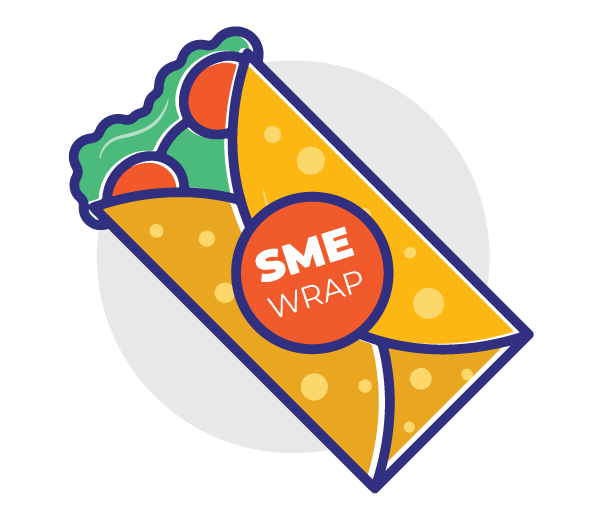 Email multiple customers – Communicate with your existing customers, and send them updates about your products, and events. 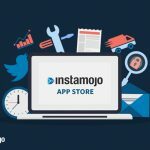 iMojo Link Privacy System – Control visibility of your links, on your profile page, search engines, and sharing. SMS Notification Alert – Get SMS notifications for each sale. So go ahead, and use the apps that you want. We’d love to hear from you on this. Please pass on your feedback and queries.